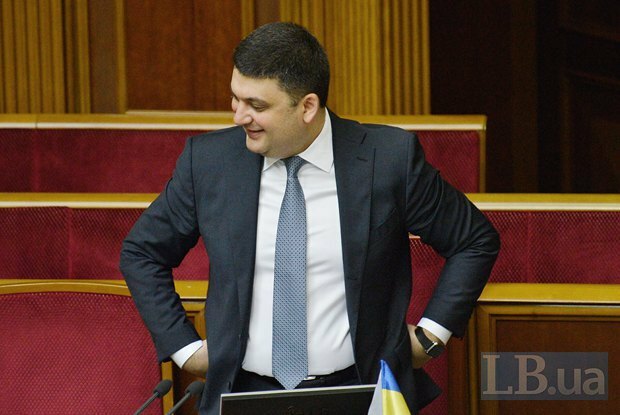 Volodymyr Hroysman had expected to chair the Cabinet of Ministers back in the autumn 2014. It had been supposed that following the parliamentary election, the Petro Poroshenko Bloc would have secured the majority and put "its" candidate in the prime minister's seat. "Its" means the one who is equally controllable and giving Bankova [street, where the Ukrainian president's office is located] all existing levers of power (uniformed agencies including). Hroysman was a perfect candidate. For some reason, Poroshenko thought (and still thinks) that Volodymyr Borysovych owes him his exposure to big politics and therefore should be obedient and thankful. Be an avatar. However, the history went its own way: the People's Front took the electoral lead and Yatsenyuk remained the prime minister. Hroysman certainly got upset then. It was a moral redress for him to become parliament speaker. And now status quo is restored. Bankova has been overtaken by neurosis (medically speaking) and has been seeking to replace Yatsenyuk ever since last autumn. Over this time, potential replacements for Arseniy Petrovych included [National Security and Defence Council Secretary Oleksandr] Turchynov, [Petro Poroshenko Bloc faction leader Yuriy] Lutsenko, [deputy presidential administration head Dmytro] Shymkiv, [ex-Finance Minister Natalie] Jaresko, [Foreign Minister Pavlo] Klimkin, [new First Deputy Prime Minister Stepan] Kubiv, [Odesa governor Mikheil] Saakashvili and a number of other – more exotic – characters. However Hroysman always remained the most real one. He was real because Poroshenko's bench is very short. To be more accurate, it does not exist. As one wise person said: the last one to leave even stole the bench. Second, the presidential administration, by its old habit, considered Hroysman an "avatar". Without even taking into account that Volodymyr Borysovych of the autumn 2014 and the spring 2016 was not the same person. His chairmanship of the parliament presidium did not go unnoticed for him either: he honed his skills in political intrigues, the art of collusion, he managed to grab the attention of a certain number of various factions (he has been especially active in such talks in the recent three weeks when he was plucking MPs out by one, explaining them that he was casting his own team). 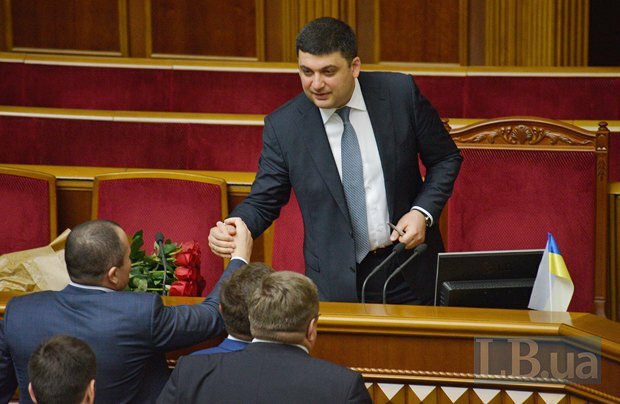 Formally, speaker Hroysman was among equals whereas he wanted to be the first among equals. He wanted to sit at the table not on an extra stool but in a chair. The chair had to be similar to that taken by [Poroshenko's close ally Ihor] Kononenko. And he wanted to be pleased not with what he was given (Ukrainian Postal Service, the former State Geodesy and Cadastre Service, and the Kiev customs service), but with what he chooses himself; and to also be able to "carve" something for the others. support of "the powerful of this world". Something tells me: oligarchs who strongly supported the future prime minister will be "inherited" by his successor. Because what they care about is a chair not a person in it. Just business. So, in fact, Hroysman got what he wanted. In spite of the presidential administration. He did a good job, he is a champion, it would seem. Well, it is not really so. Everything is more complicated. It is clear that after this the old trust between Petro Oleksiyovych and Volodymyr Borysovych is no longer. So much for the format of "senior-younger partner". By making a bid for his own political game, Hroysman exposed himself as a potential election competitor to Poroshenko. Our president does not forgive this. He has a good memory. Even too good. The conflict (to be exact, the fight for power) between them will only deepen with time. Considering that Ukraine is a parliamentary-presidential republic, the prime minister has a tactical advantage. But Bankova can win a long-term fight. That is because Hroysman made a serious mistake at the start. Without having a rocket to attack the enemy with, he exposed its launch site. Instead of quietly strafing the enemy. This is first. Second, an ardent fight for portfolios or flows does not guarantee an equally ardent fight for the country. Personal happiness hardly ever matches the state one. Now let's talk about challenges and threats Prime Minister Hroysman is facing and his opportunities. bridge the crisis of trust between the authorities and citizens. For as long as the authorities are on their own and citizens on their own, there is no reason to speak about any success in reforms. Mikheil Saakashvili. 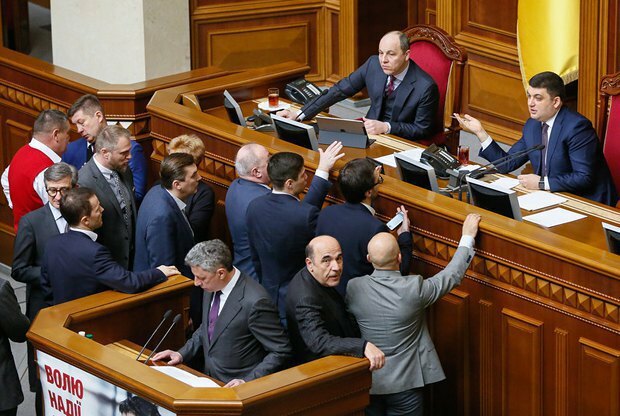 Back on Monday [11 April] the head of the Odesa regional state administration called on MPs – with regard to the offered terms – not to support the new Cabinet of Ministers, calling it "anti-popular, corrupt and oligarchic". By the book, a mad dog has to bite someone. And if Yatsenyuk left the scene, now it is Hroysman's turn. By the way, Saakashvili did not say a word about the president's offshore scandal. Not a word. It is symptomatic. Hroysman has serious political ambitions, as we already know. But to move on, he needs a platform. In a global sense, the issue of decentralization can be used as such a platform. Hroysman has a track record in local self-government, he is close to and comprehensible for thousands of his former colleagues all over the country. Regional leaders also live from election to election. They also need to "home in" – looking for support – on someone in the central authorities. From this point of view, Volodymyr Borysovych is getting an additional lever. You should remember that in accordance with the Ukrainian legislation, governors have dual subordination: to the Cabinet of Ministers and the president. 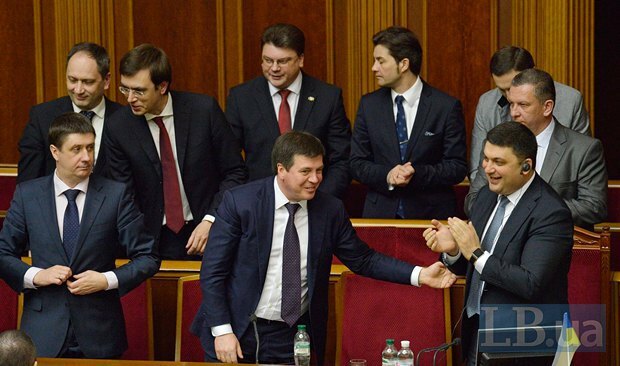 Yatsenyuk's Cabinet of Ministers did not pay much attention to governors at all. Bankova was only sporadically interested, usually on the eve of elections. Hroysman now has a perfect chance to fill the gap. However, here he is doomed to clash with Vitaliy Kovalchuk, who oversees regional policy in the presidential administration. And here diamond cuts diamond. The conflict between Hroysman and Kovalchuk promises to be no less interesting than that between Hroysman and Poroshenko. You may know that Kovalchuk is also ambitious and unlikely to forget the public shame of "being knocked down" from the Cabinet of Ministers thanks to Hroysman. Besides, Vitaliy's pet project – the technocratic Our Land (Nash Kray) party consisting of regional ex-officials – is seen as a success on Bankova. To such an extent that after Our Land's local representatives filled hundreds of councils all over the country, the presidential administration decided to develop the project with a view to a parliamentary election. And it does not matter whether it is planned or snap. If Hroysman and Kovalchuk found common turf, the former could use Our Land as the basis for its own party activity. And "instil" in it his local project, the Vinnytsya European Strategy party working in the Vinnytsya city council. However, these are just the details, it is not difficult at all to "reset" any party from the scratch, having bought a required package of documents. Sic transit gloria mundi. Thus passes the glory of the world. A newly-elected pope pronounces this phrase when he first puts on the symbol of his power, the Ring of the Fisherman. He says it in order not to forget who put him at the apostolic see and that he is not eternal, his power is frail and the glory of the world passes. The prime minister of Ukraine should also remember this. Especially in the light of the two main challenges of this year: privatization and the problem of the land market. New cabinet's economic bloc. Who are these people?